To successfully grow your baking business takes work, of course, all the best things do. However it is important to ensure the work you are putting into your business is in the right areas so you can be as efficient with you time as possible. Unfortunately, to grow a profitable baking business it’s not enough to bake the best cakes in your area - you need everyone to know they are the best and be desperate to buy them. This takes some time and effort spent on marketing your business. Now, I completely understand how unnatural it can feel to promote your own products, I used to hate it, but I did understand that it had to be done because if I’m not going to shout about how wonderful I am...who is? Next week on the blog there will be a full post with the best ways to feel good about promoting yourself - so keep an eye out for that. The most time efficient way to grow your business will be online, through social media, your website and a newsletter. These can take a bit of a time investment to set up but once up and running, half an hour a day should see your building your audience and customer base consistently. If it’s something you haven’t done before though, it can seem a bit overwhelming. 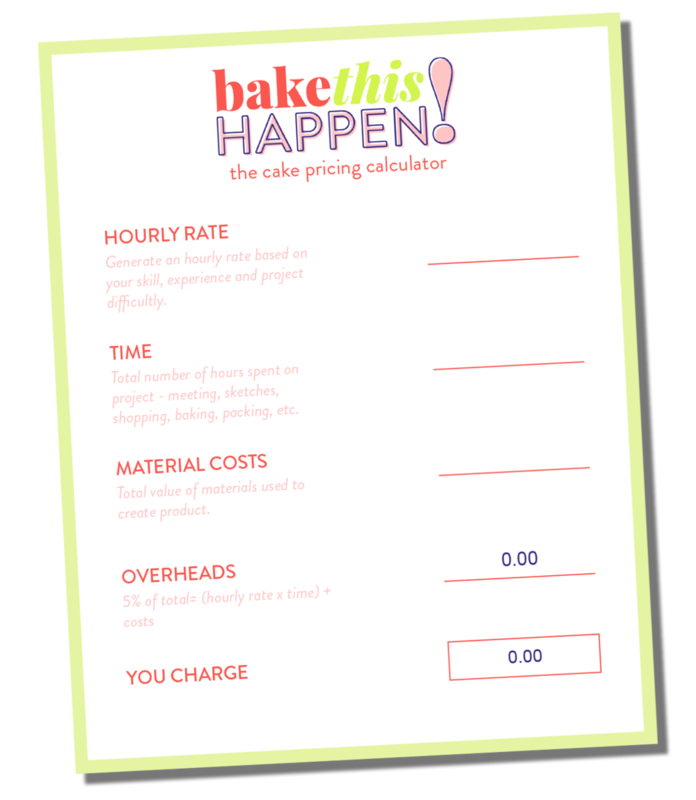 Thankfully, my friend Lauren, of Knead to Dough - previous blog post contributor to Bake This Happen - has an e-course which walks you through getting your business up and running online. She firstly takes you through choosing a niche for your business (for my take on this topic, check out this blog post) by looking at your skillset and idea customer, then she focuses on building your presence online through social media and blogging. You’ll soon find that adding these elements into your marketing strategy will help you reach a wider audience and help build a stronger connection with the customers you already have. As you know, I no longer run a cake business but I remember when I first started up I had so many questions and found it impossible to find any answers online (one of the biggest reasons I started up Bake This Happen) so having a course like this would have been so helpful for me. I found an e-book on Amazon, which I used as a bit of a roadmap for getting started, and whilst I found it really helpful it wasn’t always the easiest to follow, and really didn’t cover online marketing in any real depth. That’s what I find unique about Laurens course, so I do hope you head on over to her page and check out the details of her course. Any questions, get in touch at the links below, and if I can’t help I’ll forward your enquiry on to Lauren herself.